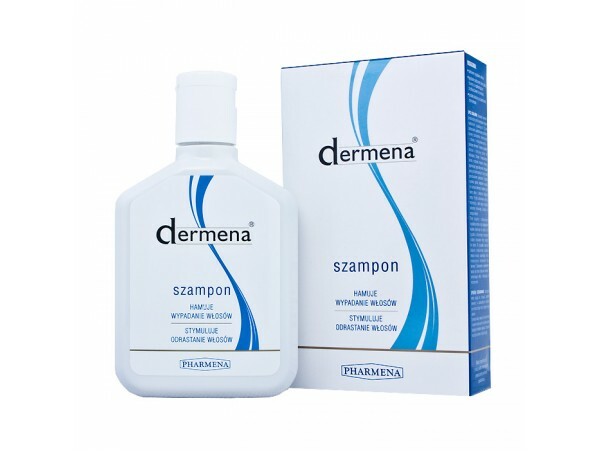 dermena® shampoo is an innovative hair loss care product. Thanks to the patented vitamin-based active substance it prevents hair loss and stimulates its regrowth. It protects the scalp against irritation. The addition of high quality ingredients makes a shampoo thoroughly cleansing the scalp and nourishing the hair perfectly. Hair is stronger and the scalp regains its natural balance. Shampoo does not weigh down the hair. Reduction of hair loss and improvement in seborrhea symptoms is usually observed in 3-4 weeks of daily use (less frequent use may extend this period). The best results are achieved by using dermena® shampoo as standard, everyday (or every other day) hair care. Apply the shampoo to wet hair and massaged thoroughly to obtain foam. Then rinse carefully. Shampoo may be used continuously. In case of severe symptoms of excessive hair loss the treatment can be enhanced by concomitant use of dermena® gel. A perfect supplement of the therapy is dermena® conditioner, strengthening hair and making it easy to comb. Hypersensitivity to some of the ingredients of the product.